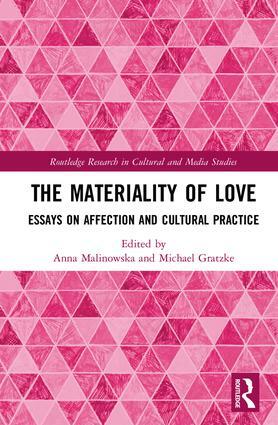 Drawing on love studies and research in material cultures, this book seeks to re-examine love through materiality studies, especially their recent incarnations, new materialism and object-oriented philosophy, to spark a debate on the relationship between love, objects and forms of materializing affection. It focuses on love as a material form and traces connections between feelings and materiality, especially in relation to the changing notion of the material as marked by digital culture, as well as the developments in understanding the nature of non-human affect. It provides insight into how materiality, in its broadest sense, impacts the understanding of the meanings and practices of love today and reversely, how love contributes to the production and transformation of the material world. Anna Malinowska is Assistant Professor in literary and cultural studies at the Institute of English Cultures and Literatures (IECL), University of Silesia, Poland. Michael Gratzke is Professor of German and Comparative Literature as well as Associate Dean for Research at the University of Hull, UK.